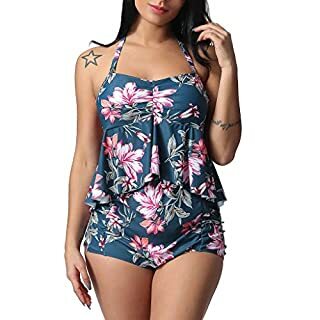 Size:L-----Under The Bust:78cm/30.7"-----Pants Waist:76cm/29.9" -----Hip:88cm/34.6" -----Length:83cm/32.6" Size:XL-----Under The Bust:82cm/32.3"------Pants Waist:80cm/31.5" -----Hip:102cm/40.1" ------Length:84cm/33.0" Size:XXL-----Under The Bust:86cm/33.9"------Pants Waist:84cm/33.1"-----Hip:106cm/41.7"-----Length:85cm/33.4" Size:3XL-----Under The Bust:90cm/35.4"-----Pants Waist:88cm/34.6" ----Hip:110cm/43.3" -----Length:86cm/33.8" Quick-drying and durable tankini sets encure durability and excellent elasticity, resistant to chlorined and salt water. 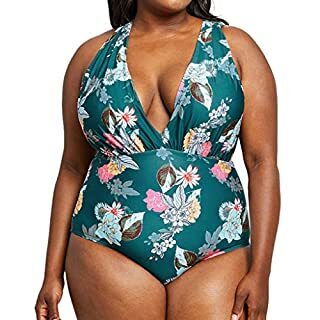 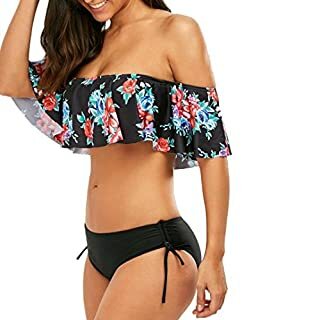 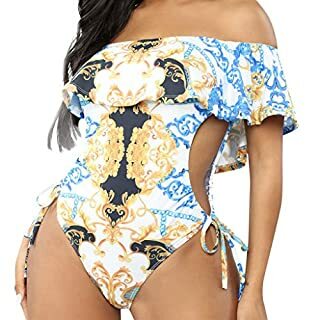 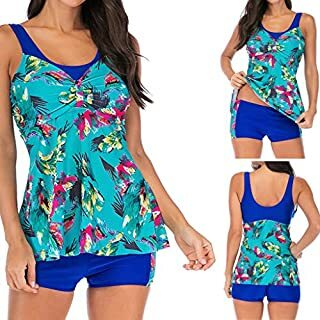 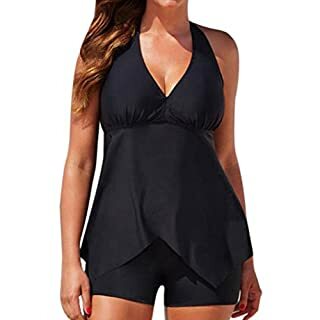 Material: 82% Nylon, 18% Elastane, Lining 100% polyester -Tummy control stretchy tankini sets with full lining and light padded bras for support and a perfect fit. 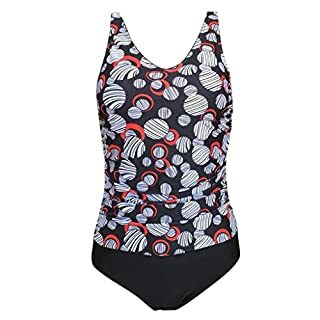 -Tankini sets with adjustable strapes and open back offer freedom of motion.